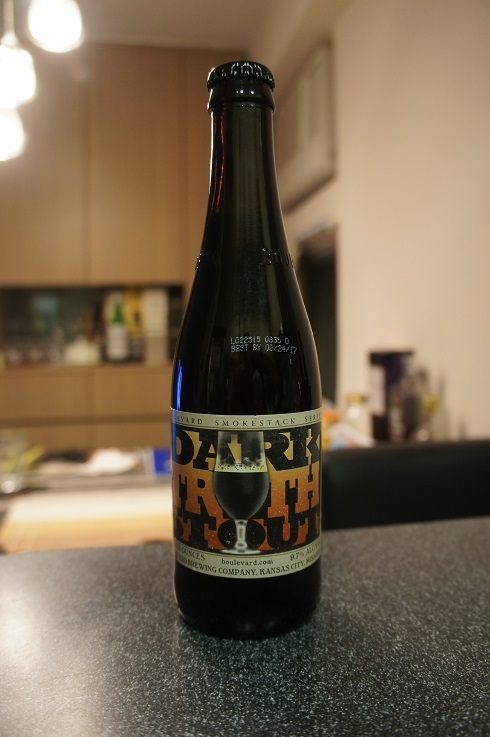 Category Archives: Boulevard Brewing Co.
Other Notes: 60 IBUs. Malts – Pale Malt, Amber 50, Cara 120, Cara 300, Chocolate, Roasted Barley, Chocolate Rye, Malted Rye, Malted Wheat, Honey Naked Oats and Flaked Oats. Hops – Magnum, Zeus, Citra and Perle. Other – Brown Sugar and Dark Brown Sugar. 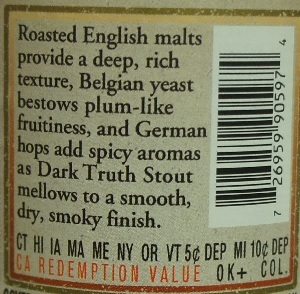 Brewer Description: (from bottle) Roasted English malts provide a deep, rich texture, Belgian yeast bestows plum-like fruitiness, and German hops add spicy aromas as Dark Truth Stout mellows to a smooth, dry, smoky finish. Intro: A 12 fl oz bottle with a best by date of 24th February 2017, and poured into a snifter glass. Appearance: It poured a pitch black colour with a one finger tanned head that dissipated quickly but left some nice lacing. Aroma: Roasty coffee, chocolate, crème brûlée, caramel, some dark fruits like plum and fig and a touch of smokiness. Taste: Similar to the aroma except the dark fruits and char smokiness are more prominent whereas the roasty coffee and chocolate notes are more in the background. There is also some bitterness on the finish. Mouthfeel: Medium bodied with moderate to low carbonation and a dry finish. 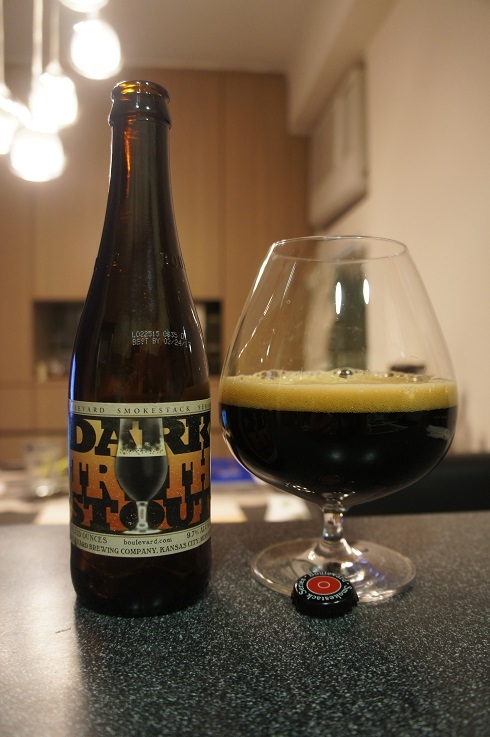 Overall: This was an interesting Imperial Stout. Body was a lighter than I prefer and carbonation perhaps a tad too high. But still definitely worth a try.